Once upon a time in a galaxy not far away, there lived two kings. Each was the ruler of his own deliciously glorious planet. The first king, Manchildblack, was well known throughout the cosmos for his ethereal vocals, celestial sonics and earthy musical messages. The other king, Monstah Black, was a star in the solar system for his gravity defying performances, gender​ bending fashions and spacey disposition. One magical night, an inexplicable ultra​magnetic pull forced the two planets to collide. A technicolored explosion occurred, turning night into day, with a feast of aural and visual delights. It was then that the universe was changed forever. Manchildblack and Monstah Black united and became The Illustrious Blacks. With inspiration from artists like Prince, David Bowie, Grace Jones, Boy George and George Clinton, The Illustrious Blacks have arrived with a mission to fuse futuristic funk, hypnotic house and cosmic pop into pulsating positivity for the planet. The real life married couple are not only co​-pilots on their artistic voyage, but are united in their fantastical journey through life. In 2017, The Illustrious Blacks released their highly anticipated debut EP, NeoAfroFuturisticPsychedelicSurrealisticHippy, on Concierge Records. The EP features the high energy single "Blast Off," the seductive "Red Light," the thought provoking "Delusions of Grandeur" and the anthemic "Black Like Jesus." In the same year, the dynamic duo also found time to work with producer Nickodemus on a remake of the 90s dance floor classic "Funk That!," which spawned a popular music video. The acclaimed duo found even more praise for their epic live shows and DJ sets, which fuse music, dance, theater & fashion as the ingredients to expand minds, shake bootys and save the world one beat at a time. Their infectious DJ set on Okayplayer’s Facebook live went viral and has put them on the global radar of emerging artists. In 2017 and 2018, The Illustrious Blacks were featured at packed venues such as Central Park Summerstage (NYC), Joe’s Pub at The Public Theater (NYC), Output (NYC), Good Room (NYC), C’mon Everybody (NYC), Sutherland (NYC), Afterglow Festival (Mass) and even found themselves traveling to Bali, Indonesia for the Ku De Ta Forbidden Fruit Party. The Illustrious Blacks have been receiving praise from major media outlets. 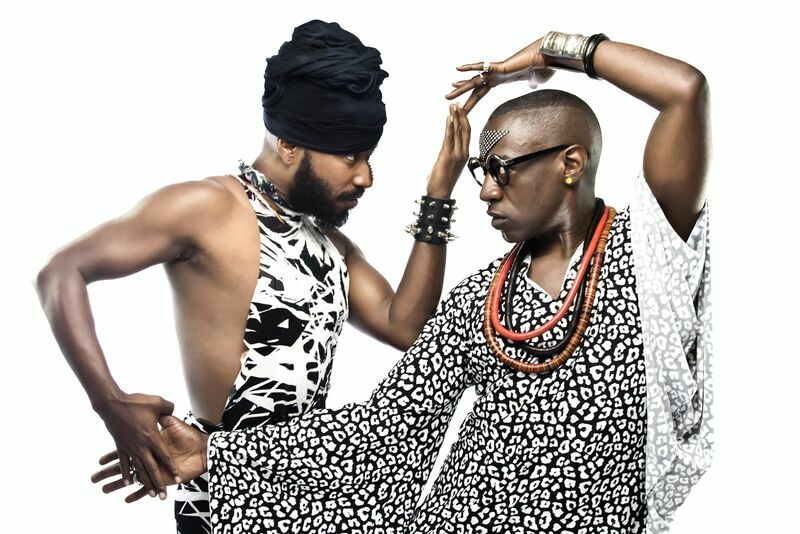 Their celebratory music video “Black Like Jesus” was premiered in Billboard Magazine and their latest single “Revolutionary Love” debuted in Paper Magazine. The couple was also followed around their Brooklyn neighborhood for an article in the New York Times.